I've been mountaineering for 40 years. The people I'm talking about are as serious as they come. Sorry but the current crop of phones aren't nearly as durable as a Garmin handheld GPS.. If the "current crop" was only what the "selfie n shoot my salad for instagram" crowd carries, maybe I'd agree. - But like Viajero Perdido, I've also carried a mil-standard, ruggedized phone since samsung came out with the rugby in '08. 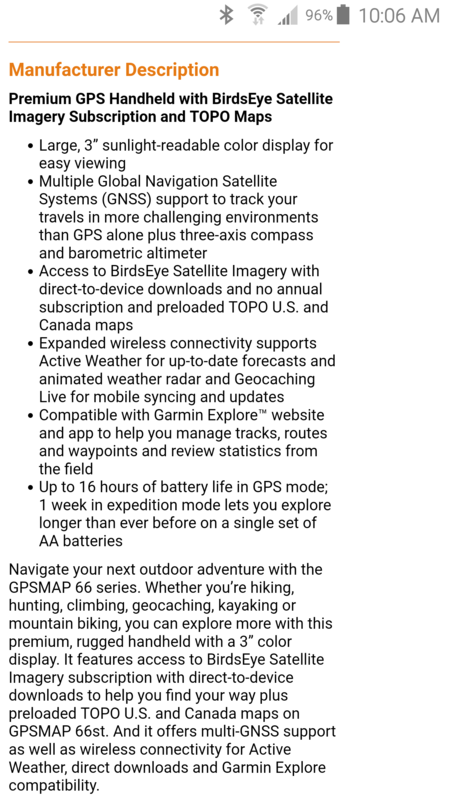 I chatted with Garmin this morning asking for directions to the release notes for the software/firmware for the 66 series. Their response is below, but basically they said that release information only appears when people who have already purchased the unit update software/firmware. They suggested someone with a unit post the release information they are shown when they update. So I was wondering if someone with a 66 would copy and paste the release notes here? Thanks! The link you had provided was displaying the Release notes for a software that all Garmin customers/ users would use, ie... Garmin Express. The release notes for specific units will be privy to those updating the unit. If you have a "friend" with a 66 series unit, Have them write about what changes are for their unit. They will see those before the installation of the update to the unit. Yes, as noted above, they said the only way for those of us that have not yet purchased a 66 to know about bug fixes is for someone with a unit to post each time what they see before they update. That seems to be what they are doing at those links. However, one of those sites shows only that there is the initial release from August, no updates. The other shows one update from 2.10 to 2.40 but does not provide a date or any information as to what was updated. I think it might be easier, and more accurate, for someone here with a 66 to post specifics each time. Yes I'm sure.. still a phone..rugged is subject-able...android,non battery change and life, can't load great maps into it and manage back and forth transfers of routes,favorites,tracks with ease. And many more.. The Ruby does all but is king of none.. All this has been covered.. I would not follow a so called hiker or mountain guy with one. I have a dizzying variety of maps available in my phone (great app), including the world's best maps (which Red90 and I play a part in creating), but the best are also available for Garmins (notice how I'm steering this back on-topic?) including the new 66. So I wouldn't pay any extra for a Garmin to have maps included out of the box. Anyway, we're both happy in our own worlds. All firmware update information for the GPSMAP 66 will be published at GPSrChive as it becomes available. The software page link has links to other software but no release information that I could see. If GPSrChive was going to have release information doesn't it seem they would have something by now? From what I can tell, version 4.10 was the release from August. It is now up to 4.40 and I have not yet seen any specifics of what the releases covered, here or at any of the sites I can find. * Fixed opening of the RoboForm Start Page with empty user data list when user has no pinned items. * Show Popular/Recent/A-Z selector for 'Pinned' category. * Make 'Sharing' marker on an data item clickable. * New design, with vertical navigator for object types. * Show Folders in Left navigator too -- click Home pull-down. * View and Edit your Logins, Identities and Safenotes from Start Page. * Fixed bug in cleanup of old data that could result in cleanup of new data, if custom folder location was used. * Localization: updated German, Japanese. * Fixed miss bugs found in ver 8.5.3. Hi, The current device firmware for GPSMAP 66 is version 2.10. The GPS chipset latest firmware is 2.50 at the time of writing this post. The GPS chipset firmware has nothing to do with the unit’s mapping or GUI. 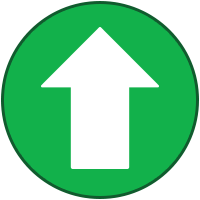 2.40: Improved overall GPS positional accuracy. 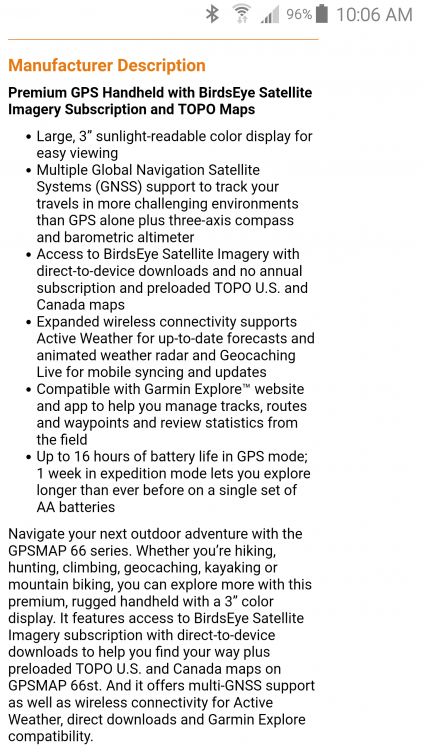 2.50: Improved GPS performance in Expedition mode. It still just crashes all the time in a manner that turns itself off, or requires you to pull the batteries out to reset it or it stays frozen on a screen. and didn’t see a map at all until we were home again. It froze at the “Loading Profiles” screen three times, and each time I had to pull the batteries out. If it freezes while it’s making a beep sound, then that sound is continuous until you take the batteries out. Most annoying. I have Garmin original SD Card with preloaded Topo Australia V6 map (no firmware hacking or pirated maps). Yes there is a PCB image circulating to suggest it does have a QFH antenna, no a QFH antenna is not a placebo. originating from below the horizon. The display is larger, and more vivid, but the unit is larger, and feels larger in your hand. It may not be as comfortable to hold for long periods. In my view, it’s a paperweight, at least until it has some work to it’s device software. I’d by no means trust it to even maintain a track log for a long hike without just turning off, or freezing. Firmware 2.10 is the initial release version, and there have been no updates since, so there is nothing for them to display there yet. Where are you getting numbers like 4.10 and 4.40? I see references to firmware version 2.10 installed in the factory GPSMAP 66, so it's not something to "update", it exists on the device. There's not a lot of info about further versions, but there's a conversation here that seems to say that version 2.40 (and maybe 2.50) were retracted by Garmin, although some people may have gotten the files in a way other than using Garmin Express. I may be way off in my assessment of that, my French is not good. But if it was retracted, that would explain the broken links. Anyway, there's not much of a firmware list to collect at the moment. I'm up to date, Software version 2.1 and GPS version 2.5. Ah ha. Yes I was not thinking about both the firmware and software! So Kayl, you are saying that you have software version 2.1 and firmware version 2.5? I guess Garmin usually, eventually, does update both on their units to fix bugs? Lastly are GPS software version 2.1 and Firmware version 2.5 the original versions released with the 66? GPSMAP 66 GPSr Firmware v210 and GPS Software v250 are the current and initial releases, as shown at GPSrChive. There were (of course) earlier versions of both, and depending on when each unit was released (different dates in different countries), they may have had a slightly older GPS Software installed, but to the best of my knowledge, the v2.10 Firmware is the initial shipping firmware. The gps firmware and unit software numbers do not directly correlate. For example, on my Garmin Forerunner the software version is 4.2 while GPS version is 2.3. Connect IQ, Wi-Fi, ANT/BLE/BT versions are also all independent. Even copying and pasting that link does not work for me. Just get the Youtube homepage. Strange. I'll just try searching for it. Update - Found it. And now that I have visited the actual video, going to that url works. Odd. Must be something in my browser. Works for me. Make sure you're not getting that period after it. Any feedback on the "expedition mode"? It sounds interesting. I'm just wondering how it functions. I wear Red Wing Irish Setters. Finally! Someone else who has reported that the screen freezes!! I was beginning to think that I happened across the lemon of all lemons. The first time it happened, I was unnerved (and glad I wasn't navigating out of the woods), but figured I would give it a hard reset and another chance. When it happened again, I didn't need to see any more. I am still bitterly disappointed. Thank goodness Geoaching.com took it back, no questions asked; one heck of an expensive paperweight. As for the size - I am petite, but found it to be a nice fit in my hand. I have been using an Oregon 450 forever and while it was a different fit, it was still a nice, comfortable fit. I never got to test it over the course of a few hours of use, but think that it wouldn't be an issue. It has the same carabiner clip as my Oregon, so that made the feel even that much more familiar. To be honest, more often than not, mine just turns off by itself, but occasionally, and especially that time int he car, it freezes and needs batteries removed. There’s more than one way I can make it turn off, and one of those is to zoom out pretty far, and then I won’t be able to move the map with the D pad much until it powers off. I’d like to see the 3D view implemented for DEM maps as the Oregon has, but not before they fix what is done so far. and still to have the usual slip case available (which doesn’t appear to be happening for 66). I must be lucky, because I haven't had the issues described here yet. I even tried to replicate a glitch video on YouTube with no results. Mine has been rock solid for tracks; I've turned it on and gone about several 12 hour day with 70-80 miles driven and perfect tracks. I will typically just leave it plugged in when I'm in the car, so maybe that's why I haven't seen the issues? That video is probably mine. I made a bad call on the QFH antenna early on, but think it was fair, given it’s also the first time Garmin hasn’t specifically used it as a selling point. antennas to compare various antennas for the same GPS device. caused it to power off once that menu was exited (as it always does for me). There’s an error log file in the device’s storage that is appended with errors, but the register values are always all zeros, so I don’t suppose it’s useful debug info to sent to Garmin. I’d still expect to be able to find an address, and just not be able to route to it. In one case it did work, it did power off while routing to a found address though, or immediately after calculating the route). Totally off topic: A thought occurred to me. E-paper displays! Even if it meant a GPS mapping device was monochrome, wouldn’t E-paper display make the ultimate outdoor GPS? Interesting thought. The new inReach Mini has a MIP (Memory In Pixel) display that is similar to e-paper displays. But it doesn't have to update the screen very often. For most GPSr users, I would think when they are looking at the screen, they are needing to see data update at a rate much faster than e-paper is capable of. What screen on your GPSr would be useful for you, if it were on all the time, but never changing? Best way to save battery power with current line-up is to use lowest possible backlight brightness and turn the screen off when not using it. The current crop of screens are so brilliant in direct sunlight they require zero backlight, yet I think many users forget the backlight is still on, using battery power needlessly. Finding location by address only works if the map has address data embedded within. 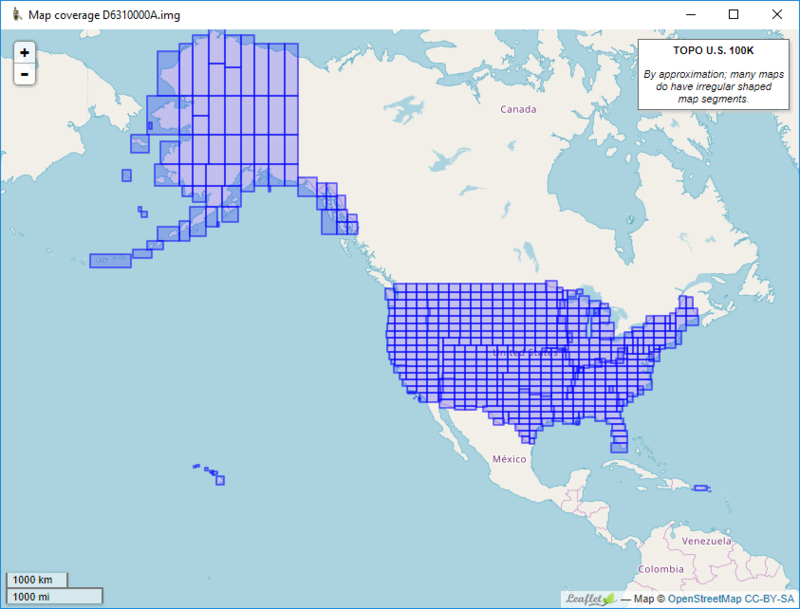 The lite topo map for Australia may be different, but in the US, there is no such data within the map. There may have bee some rational thinking on keeping the Mini-B on these longer than most of the industry. It was easier to find ruggedized versions of that connector as it was just plain physically larger and had more metal to work with. Waterproof Micro-B's were never really common. That said, Mini-B was still a terrible connector for reliability, Micro-B is rated for more connection/removal cycles but tends to move the shear point to destroying the cable ($) instead of the connector in the device ($$$$). Fortunately for *MOST* users, phones tend to be used like toothbrushes, charged or connected a few times a day, so they benefitted from the Micro-B while the lower volume and less common repair facilities and the ability to hose out dirt kept Mini B common in GPSes. For most devices (I'm looking at you, Bluetooth speakers, and of course, Apple devices) USB-C can't take over the world soon enough, but I know it's just plain more expensive to do USB-C right. I'm more forgiving of that on a $.99 book light than I am in a $700 GPS receiver - those SHOULD have been moved to USB-C years ago. My 64st and 66st both came preloaded with Top Australia and NZ V5 Lite, which is interesting, because V6 became available some months before the 66 was available. They are both the same file size, and the 64 can find an address with only the V5 lite map enabled (just tried today), where the 66 could not. I haven’t checked the 66 again since address search started working with it. For the 64, it may not go to the actual street address number I specified, but it does display the correct street in a map view. The bug I’m experiencing with the recording menu, I’ve nailed down to the elevation profile display. one of which is an elevation profile. Any playing around in that screen works, but powers off once exiting the menu back to the usual map view. That is a known bug (one I can not duplicate), hopefully will be resolved in next release. I see BirdsEye Satellite Imagery enabled on the Map Page, what is the source for those files? Why not create a compact version of the GPSMAP 66, without the protruding Quad-Helix antenna? The Birdseye imagery was downloaded with Basecamp with a 64st connected. The imagery isn’t locked to a device until it’s sent from your PC to a device. I used previously downloaded data and sent to the 66 from there. It makes no difference though (although I initially thought otherwise) if imagery is enabled or not. The issues with panning a map at low zoom, or this one above happen just the same. If Birdseye imagery isn’t valid for a device (if it were just copied from SD card of another unit), it simply doesn’t work, and you also get a warning of this at startup. For improved sensitivity, and some of it’s inherent quality, in the end, amounts to better accuracy. I’m sure Garmin would if it weren’t for the sacrifice. For GPS, and just about any other sat antenna, they are better in every way. Easy to observe with any GPS module that allows you to switch between multiple antennas. Anyone know what Canada topo version comes with the 66st? I believe it is a US and Canada 100K map but someone will correct if only one or the other. Thank you Cheminer Will. Yes, it is both. I was hoping the Canada portion would be beyond version 4 which has been around for quite awhile. Perhaps there's no real way of finding out. I was hoping the Canada portion would be beyond version 4 which has been around for quite awhile. For trails, you really want a map based on OSM. Any map merely built off the free government data will be worthless, or even hazardous. Well isn't that nice. Previous (t) models in the US did not include canada on them. I don't have a 66st yet so am not positive and it is a bit confusing as different sites say different things. But, the Garmin site seems to say both are on the 66st, not one or the other depending where you purchase the unit. I am not sure if luvvinbird a few posts back actually has a 66st but he also says both U.S. and Canada are included. Maybe someone in the U.S. with a 66st can check to see if they also have Canada on their basemap? I'm inclined to go with the st version since that includes a built-in DEM model, which allows for hillshading and elevation profiles of tracks that don't include elevation data. The 'Basemap' you mention is just that, a very basic map, with very little information or detail, that all Garmin units have, and is next to useless. "I'm inclined to go with the st version since that includes a built-in DEM model, which allows for hillshading and elevation profiles of tracks that don't include elevation data." That is another excellent reason to spring for the extra $50. GPS City in Calgary indicates the Garmin GPSMAP 66st comes preloaded with both U.S. and Canada TOPO maps. So it's settled, if you want the ST version, go to Canada and buy one. As far as shading and elevation - it's sometimes nice to have the elevation profile of your route ahead of you, but I don't know if it's worth the extra $50. And shading.... well, I've actually turned shading off because it was making the Northwest Topos map harder to read and slowing down map drawing. 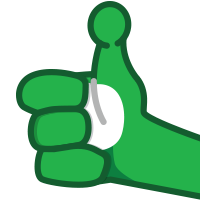 Here's the thing, though. If you already own an older T model, the basemap can be transferred to your new unit. It's not locked. That's true, at least, if you have an Oregon 450t or a 62st. Garmin's Topo Canada is not based only on free government data.... Have you actually used it? It uses the government topographic information, but road and POI are not from the government maps. They use road data up to date as of the release. OSM is improving, but it is still a mess, full of very incorrect information, especially on trails. I think what Viajero Perdido is referring to are the trails. Trail data on USGS topo quads isn't very accurate, nor up to date, except maybe in the national parks. But the trail lines on USGS quads, for the most part, are approximations of the trail location, smoothed out and, in some cases, not updated for trail reconstructions and movements. This trail data has made its way onto many of our digital maps, including OSM and Garmin's Topo 100k as the default was to simply trace the USGS data until a better source was provided. Thus there are many of us here that like to upload our tracks onto OSM and correct any trail information that needs to be fixed. That said, a single GPS track is prone to errors as well. There are several times I've noticed my own track diverging from the visible trail on the satellite maps. So if you're going to edit and add data to OSM, do so carefully. Garmin's Topo Canada is not based only on free government data.... Have you actually used it? Not for many years. I still remember it trying to route me across the Athabasca River on a nonexistent bridge. That was hard on the car (horrible approach I'd have otherwise never attempted), and an utter waste of time. I think much of that incorrect info is the old government data! Trails need to be on the correct side of the river, for example. It's easy to import garbage trail data (CanVec), but much more labor-intensive to remove it. You really need to check on the ground: is there really a trail here? Because you can't be sure, just checking the satellite view.